A hike to the Hollywood sign! 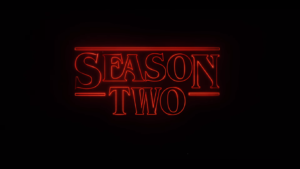 Last year, a Netflix Original “Stranger Things” premiered July 15, 2016 with eight episodes. It quickly became popular among Netflix users. In the 1st season, three friends embark on a journey to find their missing friend and restore order to the city. Along the way, they meet with a mysterious girl with telekinesis whose name is Eleven. The season ended with more questions than it began with, leaving fans anxious for the second season. This year season two premiers today Oct. 27, 2017 with nine episodes. In this season, many people hope to have their questions answered. Will Eleven meet up with the boys again? Will Will go back to the Upside Down? To be determined….